This spur of the moment DIY project turned out amazingly. It’s a great way to recycle fashion and you don’t even have to be creative to do this one. It’s pretty simple. This is great project to do with kids too. The fun thing about this project is that your imagination is KING QUEEN! 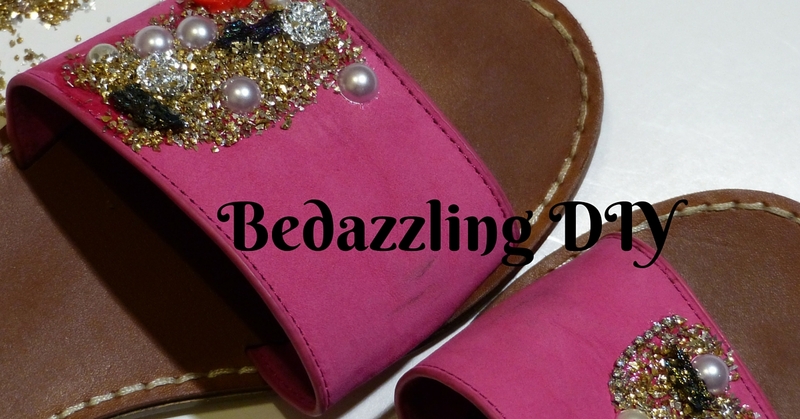 Just spread some glue on the sandals and place the beads and embellishments to your liking. It’s a great way to cover up any dings your sandals have had from wear. I have a collection of craft accessories that I use to make jewelry so everything was literally on hand. Just have fun with it and don’t over think it. PreviousBamBe Bamboo Earth Friendly T-Shirts!